In every hike of nature one receives far more than he seeks.. So this one started along with Prajakta, Rohan and Santosh. 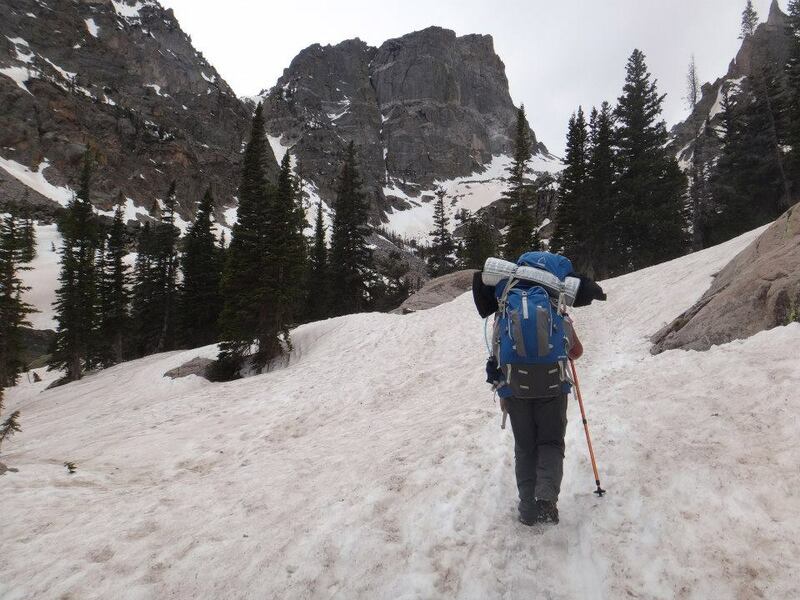 We were really excited about the back packing at Rocky Mountains and this was my 1st back packing experience. We drove to Rocky mountains and parked our car at Beaver Meadow Visitor Center. Day 1 @ Bear Lake: Really excited and full of energy. We packed our 25 lbs bag and started moving ahead. With the mixed feeling I was moving ahead on the Bear Lake Trail Head. After few minutes there was snow on your way.. After 0.5 miles we reached Nymph Lake. Beautiful lake surrounded with white long peaks. Hallet Peak rise above the Nymph Lake. From Nymph lake we started hiking towards Dream Lake which is like 0.5 miles north of Nymph lake. Dream Lake was like a dream come true 😉 . The lake was completely surrounded by snow all over. Around 0.7 miles ahead of Dream Lake is the Emerald Lake which is the most beautiful lake I have ever seen in my life. That was simply gorgeous.After crossing the emerald lake we started started hiking ahead and this walk was inside snow. We crossed the huge rocks, crossed the mountains and finally were lost.